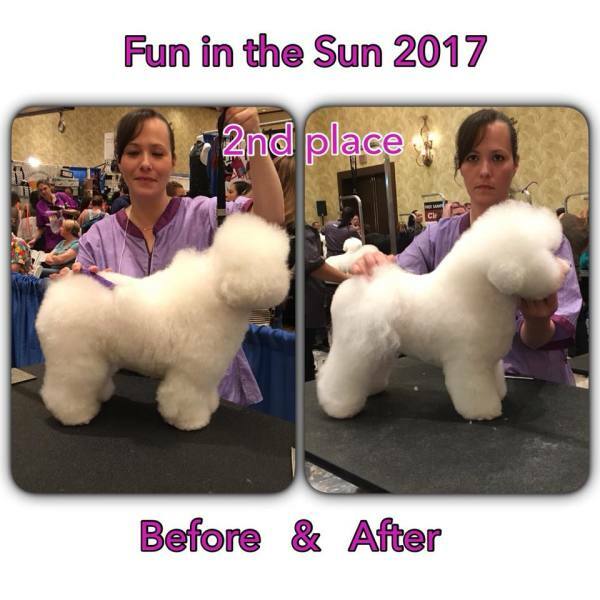 Ziva and Tiffany at Fun in the Sun Grooming competition. 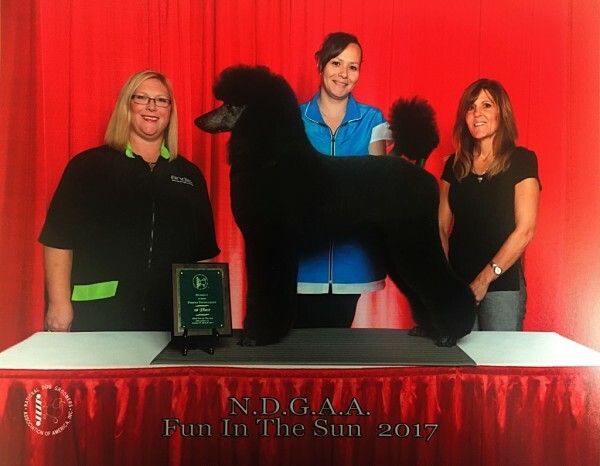 First Place finish. 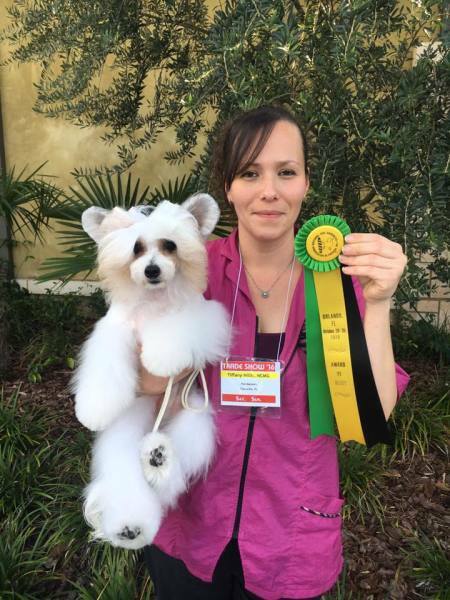 Tiffany and Jenny take 1st place in the Terrier class. 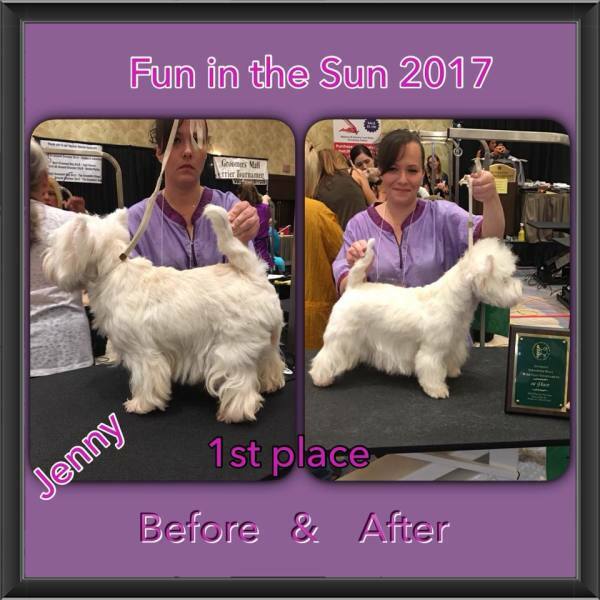 Jenny was handstriped. 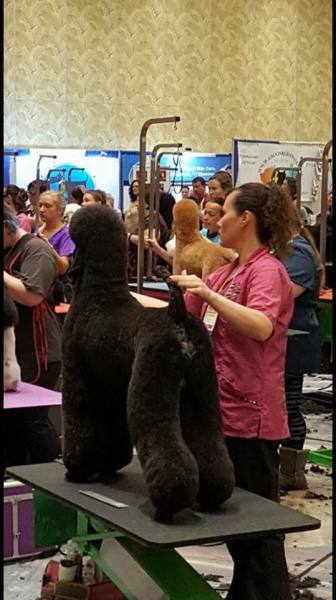 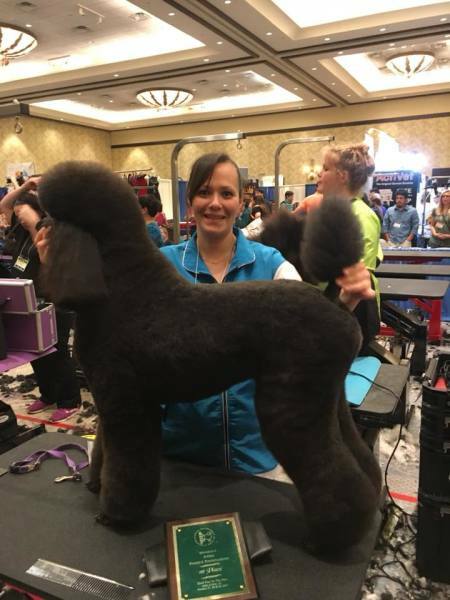 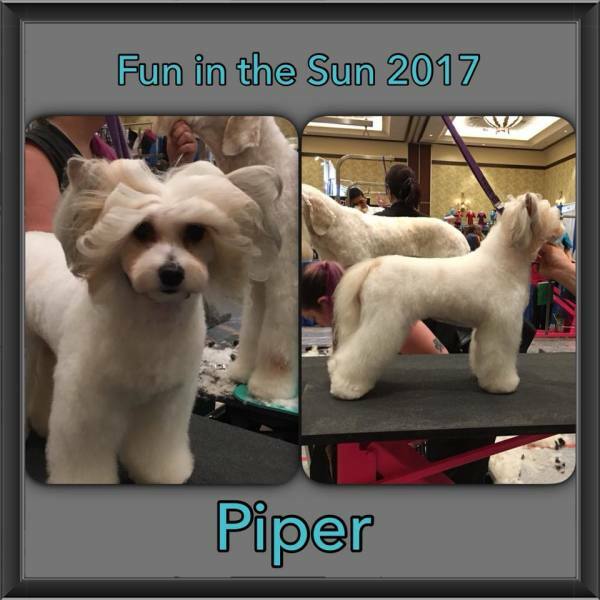 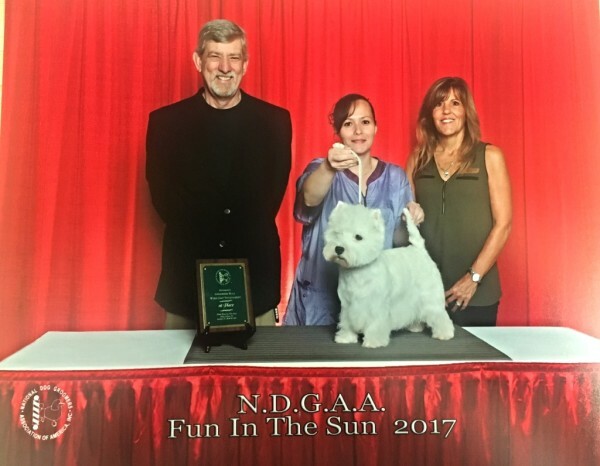 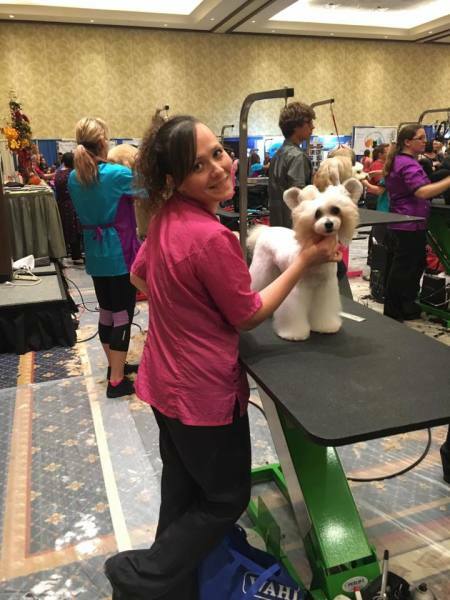 Tiffany and Piper at Fun in the Sum Grooming Competition.